Six month ago, in December 2015, the town of Mary in Turkmenistan witnessed a long-awaited occurrence significant not only for the country, but for the entire Central Asian region: the launch of the construction of the Turkmen section of TAPI (Turkmenistan–Afghanistan–Pakistan–India) gas pipeline. 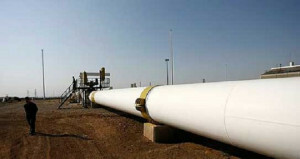 The parties signed an agreement on the construction of a gas pipeline at the end of 2010. A nearly 2-thousand-kilometer pipeline will run from the southeastern regions of Turkmenistan that are rich in natural gas (the area where the giant gas and oil field of Galkynysh is being developed) to the Indian town of Fazilka, on the Indian-Pakistani border. More than 200 kilometers of the line will be laid in the territory of Turkmenistan. In Afghanistan, the line will go through the towns of Herat and Kandahar. In accordance with the 30-year agreement signed between the Turkmen state corporation Turkmengaz, Afghan Gas Corporation, Pakistani ISGS and Indian GAIL, Turkmenistan will export up to 33 billion cubic meters of gas annually (90 million cubic meters per day) via TAPI. This volume will be distributed between India, Pakistan and Afghanistan, with India and Pakistan receiving 38 million cubic meters and Afghanistan— 14 million cubic meters of gas. The completion of the construction works is scheduled for 2019. According to the estimates, the cost of the project will amount to approximately $12 billion. Since Afghanistan, India and Pakistan have limited energy resources while their requirements for energy are continuously increasing, the significance of TAPI for these countries cannot be overestimated. Pakistan and India have their own gas fields, but the volume of gas they supply barely covers their own needs. 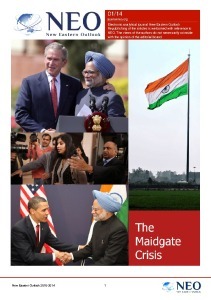 The volume of gas consumed in India is many times that of its extraction. Therefore, the country is forced to import liquefied gas delivered by ships. In addition to the countries initially participating in the project, Bangladesh has also expressed its desire to join in. For Turkmenistan, TAPI represents a part of a large-scale program on diversification of the export routes of distribution of Turkmen gas. Most Turkmen gas pipelines were built in the times of the USSR with a focus on Russia, as the main gas consumer. Turkmenistan continues to sell gas to Gazprom to this day, but in the recent years, it has been considering new partners. For example, a Turkmenistan-China gas pipeline passing through the territory of Uzbekistan and Kazakhstan has been operating since 2009. Iran is also one of the importers of Turkmen gas. The state company Turkmenneftegazstroi is building the Turkmen section of the gas pipeline and infrastructure. The same company is also funding the works. 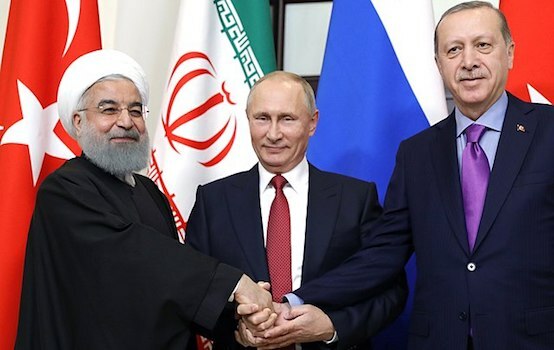 The TAPI Pipeline Company Limited Group of Companies with the participation of gas companies of all interested countries, headed by the Turkmengaz Corporation, is the main contractor involved in the construction of the entire gas pipeline. At present, the parties are working out a financing plan for the construction of the Afghan-Indian section of the pipeline. The project is financed mainly by the Asian Development Bank, which was appointed as the TAPI Transaction Advisor in November 2013 at the decision of the gas companies of the participating states. President of Turkmenistan Gurbanguly Berdymukhamedov and Vice-President of ADB Wencai Zhang held a meeting in August 2015. At that time, Mr. Zhang confirmed ADB’s plans to invest funds in large Turkmen projects, including TAPI. The participation of the Islamic Development Bank in the project is currently under consideration. In May 2016, at the session of the Cabinet of Ministers of Turkmenistan, Deputy Prime Minister Yagshygeldi Kakayev informed the President that the construction of the Turkmen section of the gas pipeline was progressing according to the schedule, without delays. However, there exist certain obstacles to the further implementation of the project. The fact that a significant part of the gas pipeline will run across Afghanistan devastated by war and partially controlled by various terrorist groups should not be disregarded. This topic lies at the heart of debates held by both experts criticizing the project and the project’s supporters. TAPI’s proponents assert that the construction of the Afghani section of the pipeline will significantly improve the country’s economic situation mitigating the risk of terrorism in the entire Central Asian region. Skeptics, on the other hand, point out that it would be impossible to assure the safety of both the implementation of the construction works and operation of the gas pipeline in modern Afghanistan, especially in such dangerous regions as Herat and Kandahar. The Indian gas company GAIL, presumably with the support of the governments of the participating states, assumed responsibility for the security of the gas pipeline throughout its entire length (from Turkmenistan to India). So far, nobody can predict how well they will be able to cope with the task. In the past year, the situation in Afghanistan has significantly deteriorated. As of today, Afghan authorities are unable to maintain order and security in the country. At the time when Turkmenistan is implementing its section of the pipeline, future construction sites in Afghanistan remain battlefields. The Taliban movement has significantly strengthened its positions in the past year and is now launching offensives across the entirety of Afghanistan. Whether Afghan authorities will manage to establish order by the time of construction, in order for TAPI not to turn into a profit-losing delayed construction, remains unclear. What’s more, the Taliban is also active in Pakistan and the safety of the construction of the pipeline in its territory is only somewhat better compared to Afghanistan. In addition to the security issues, some experts raise the question of the economic expediency of the project. Considering the great length of the pipeline and the fact that it is built in high-risk regions, additional investments might be required in excess of the forecast amount. And if Bangladesh joins in, the pipeline will be 500 kilometers longer, which will increase the cost of the entire project even more. Some say that it will take years before investors see a return on the funds invested in TAPI, which will create an additional risk to the existence of the gas pipeline.